In honor of Kaitlin's birthday this week, this is going to be "Birthday Week" on my blog. Each post will be related to birthdays in some way. 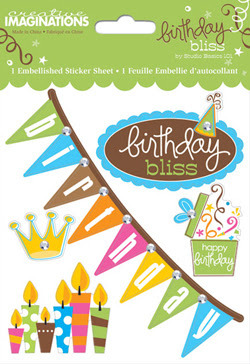 Today I'm going to share a few of my favorite birthday-themed scrapbooking products currently available...and they might just help me scrap all the pictures I'll be taking soon! 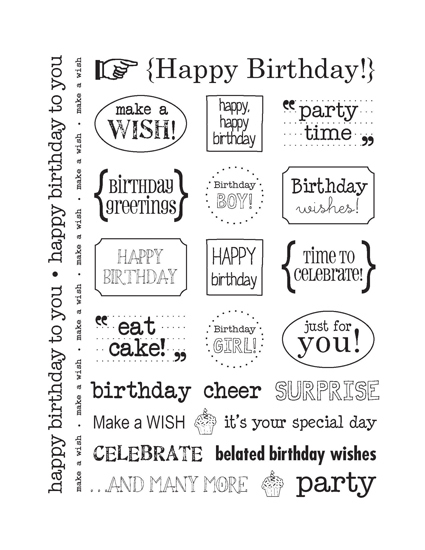 Birthday Sentiment Stickers from SRM Press Inc. 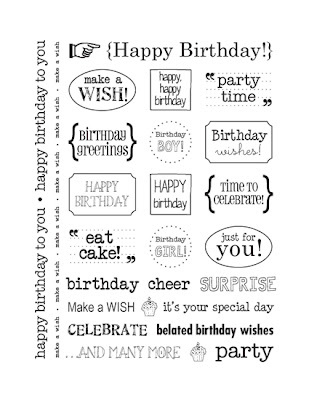 Here's some great classic sentiments for all your crafting needs. They would be great for cards and layouts! What little girl wouldn't like a little sparkle on her birthday. 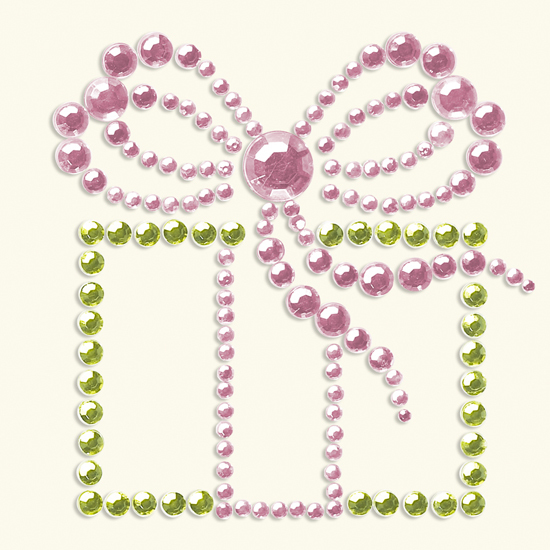 Carry the bling over onto your layouts with this great gem present! This bling'd out stickers are just one great piece of a wonderful collection by CI. View the rest of the collection here. 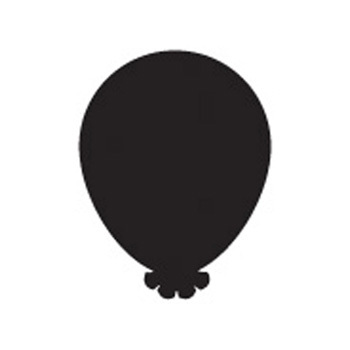 A birthday party (or layout) wouldn't be complete without a few balloons! With this great punch from EK Success you can create them in any color or pattern your heart desires! Cupcakes are the perfect serving size of cake and frosting! 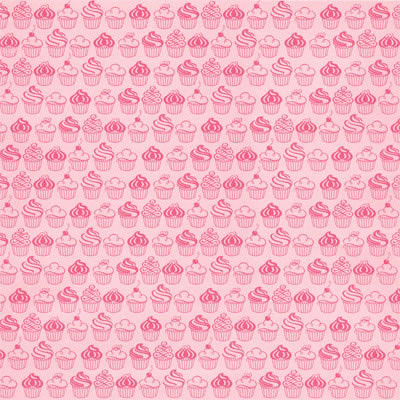 And this sweet patterned paper would make an excellent background or accent paper for your next birthday layout! It comes in several other colors and in overlays, too! !